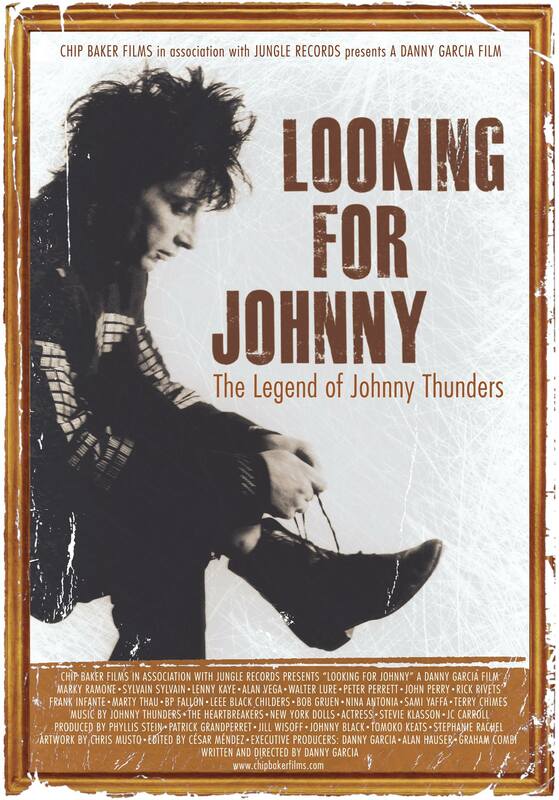 Danny Garcia’s poignant, at times bleak, but nonetheless enjoyable biopic documenting the life and death of Johnny Thunders the legendary guitarist/singer with the New York Dolls and the Heartbreakers, from humble origins in Fifties Queens NY to become one of the most influential songwriters and guitarists of his generation. 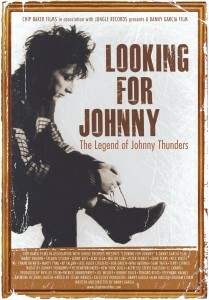 Garcia interviews many of Johnny’s contemporaries from friends to biographers to managers to fellow musicians (including fellow Doll Sylvain Sylvain and Heartbreakers Walter Lure and Billy Rath) to present a candid profile of Thunders, capturing both his enigmatic charm and capriciousness resulting from excessive drug use. The documentary opens with a wonderfully gritty cinematic view of Thunders walking through a rundown Manhattan Island and captures perfectly the environment that bred the attitude in which Thunders, NY Dolls and all the other early NY Punk bands were able to flourish. The chaotic and unfulfilled career of the Dolls (and early forerunner Actress) is covered in great detail with a frankness which prevents ‘Looking For Johnny’ becoming just another fawning, rose tinted review of a lost idol. The documentary covers Thunders’ formation of the proto-punk Heartbreakers (along with Dolls drummer and long-time collaborator Jerry Nolan) – a band with so much promise that again failed to materialise due to the impact of drug use, Thunders solo projects and other collaborations, notably Gang War with MC5’s Wayne Kramer and Thunder’s ‘Review’ type band the Oddballs. As with a lot of celebrity deaths there has to be some element of conspiracy theory or controversy, and Thunder’s demise in a New Orleans hotel on April 23rd 1991 is no exception – with no clear cause of death given and the apparent theft of Thunder’s guitars, clothes and money during or immediately after his death.